Chudy Paper is proud to offer a wide range of Facilities Maintenance Equipment and supplies. We understand that there is a proper tool for every job. Labor represents 70% of a business� annual maintenance budget and our workloading experts at Chudy Paper can pair you with the right machine to maximize your time savings while improving the cleanliness and safety of your building. 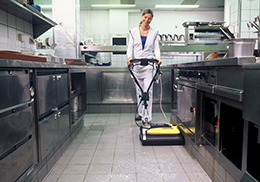 Used in tandem with the Elevate tool, we can show you the labor cost savings and return on investment between your current ways of cleaning what our trained professionals recommend. 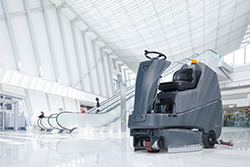 We offer a wide range of machines from basic vacuums to commercial ride-on scrubbers. Chudy Paper carries some of the most trusted names in cleaning and the most innovative. Some of our vendors include: Tornado, Nacecare, IPC Eagle, and EDIC. We carry OEM and aftermarket parts so you can be sure you�re repairing your machine correctly. If you�re not comfortable doing it yourself, Chudy not only sells these machines, but we are also a full service repair center as well. Click here to browse our top Machines today!